Titled "This should be fun," the 37-second video features a tattooed man giving the aforementioned quote before barreling down a near-vertical drainage ditch at an insane rate of speed before he crashes into rocks at the bottom — all caught on the trusty GoPro camera he brought along for the ride. Although the Reddit video cuts off at that moment — leading many commenters to assume he met his demise — Army Spc. Steve Jackson is actually doing just fine. In fact, he wouldn't necessarily rule out giving it another try some day. "I'm undecided," he told me in a phone interview. "If I do this thing again, I'll definitely go down to the bottom first." It took me a while to find Jackson, who said he doesn't mind using his name here, since his chain of command is aware of the video in question (they called him an idiot and thanked him for a good laugh, he said). The video didn't say who he was or where it was shot, but fortunately, the Reddit comments section, Google Maps, and some social media sleuthing helped me figure it all out. 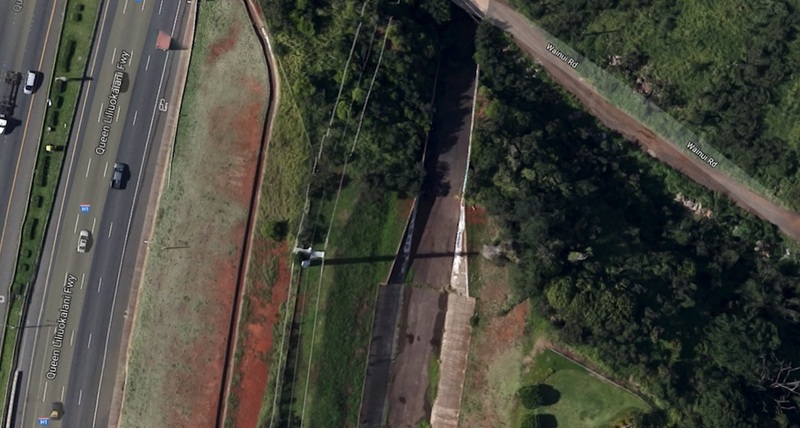 The drainage slide is just off the H1 freeway in Oahu, Hawaii, about 20 minutes from where Jackson's stationed at Schofield Barracks. He said he spotted it off the freeway one day and figured it was pretty epic. He's also not the first one to give this one a try, though past daredevils used surfboards instead of a license plate. As it turns out, when heavy rain hits the island, the bottom turns into a giant pool of water similar to what you'd find at a water park — which is what Jackson was expecting on his way down. But since a bridge is in the way, it's impossible to see exactly what's at the bottom when you're standing at the top. "It was heavy rain when we were doing it, and I just assumed a pool of water would be down there," he said. "But it wasn't. I just went crashing into the rocks." For his trouble, Jackson got plenty of road rash, a fractured ankle, and a broken wrist. Plus a video of the insanity he captioned with "famous last words I feel like this is a bad idea and guess what it was a terrible idea." But he's doing okay now! And note to readers — and Jackson — please don't ever try this at home, or anywhere, for that matter.